Thomas Friedman is a Great Man: Forget Trump University, heard about Clintons' work in Columbia? Forget Trump University, heard about Clintons' work in Columbia? Ken Silverstein (FUSION) reports on The Clinton Foundation and it is not pretty. It's a nice little con game where the Clintons do nothing of value while, in some cases, actually making money. At the Acceso job-training center, an armed security guard led us to a back room, where employees told us that director Diana Barboza was traveling for several weeks. Another senior employee, Jose Colon, was said to be at lunch. Colon, a muscular twentysomething, returned about 45 minutes later and said Barboza was heading off to Barcelona that very afternoon. He refused to answer a single question about the center. He promised to email a “protocol” to arrange an interview. He never contacted us again. Despite the center’s initial public focus on industrial workers — port workers and other high-paying trades — so far, its alumni have graduated into job roles that appear to require little advanced training: “housekeeping, hotel guest services, and as kitchen aides, baristas, food and beverage servers,” according to the Clinton Foundation website. They are worse than Donald Trump. He's accused of cheating for profit. But they're cheating -- the Clintons -- while acting like they're doing charity work. They are cheap little hustlers. Friday, October 14, 2016. Chaos and violence continue, Haider al-Abadi is said to survive an assassination attempt, the refugees and displacements that Mosul liberation or 'liberation' will create is a given and should be addressed now, and much more. US President Barack Obama is hoping to both bolster his legacy and deliver the election to War Hawk Hillary Clinton via a 'victory' in Mosul. Mosul was seized by the Islamic State in June of 2014. Over two years later, it's suddenly time, a month before the US presidential election, to liberate or 'liberate' it. And you get US government spokespersons trying to gin up US public interest with press releases like "Liberating Mosul Will Be Iraq's Biggest Fight, OIR Spokesman Says." So -- get this -- the US government is preparing. Preparing for propaganda, preparing for using Iraq, preparing for lying . . . Preparing for everything, apparently, except helping Iraqis. 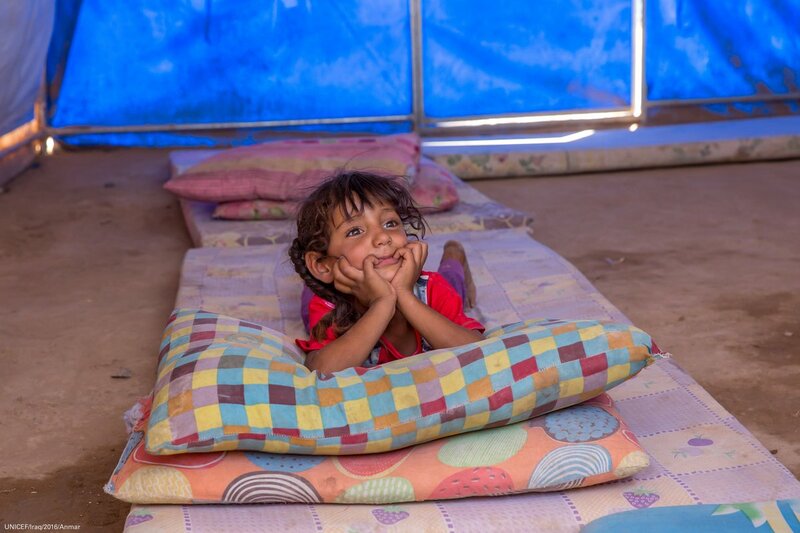 Shahad, 3, in a tent in a camp south of #Mosul, is one of 4.7 million children in #Iraq who currently requires humanitarian assistance. 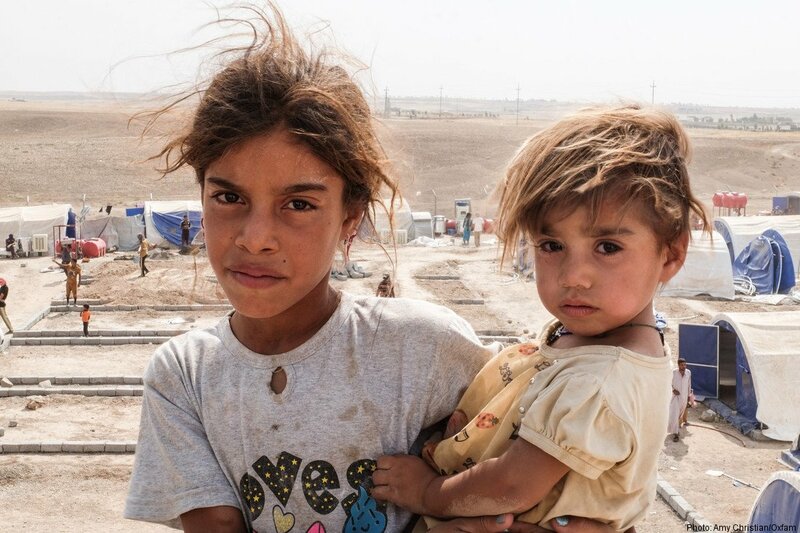 Iraq's already got a displacement crisis. Liberating or 'liberating' Mosul will result in more displacement. This is a known. Where is the preparation by Barack to deal with that? An assault on Mosul risks 600,000 children's lives. Many are warning what's coming. There's no excuse for Barack's failure to prepare for this. The White House better get on it and if they fail in this task the news outlets might want to try to remember there's supposed to be a difference between journalism and hagiography. And Ken Roth better ask himself if pimping for Hillary Clinton is worth short changing human lives? I'm talking about the failure of Human Rights Watch to warn of this impending disaster while Roth sends his 'coded' Tweets of support to Hillary (which include pimping the lie that WikiLeak's revelations are due to Russian hackers). Roth would do better to focus on humanity and stop cheapening his reputation with election politics. The timing of Mosul faces complications due to the ongoing animosity between the governments of Iraq and Turkey. Turkey has troops in Iraq. The government of Iraq wants them out. Turkey is refusing to remove the troops. Birce Bora (ALJAZEERA) observes, "Only weeks before Iraqi troops and their local and international partners start their push to retake the city of Mosul from the Islamic State of Iraq and the Levant (ISIL, also known as ISIS), the leaders of Turkey and Iraq have been caught in a war of words that could derail the Mosul liberation efforts." Iraqi Prime Minister Haider al-Abadi survived an assassination attempt today. THE BAGHDAD POST apparently has the exclusive, if the attempt took place. 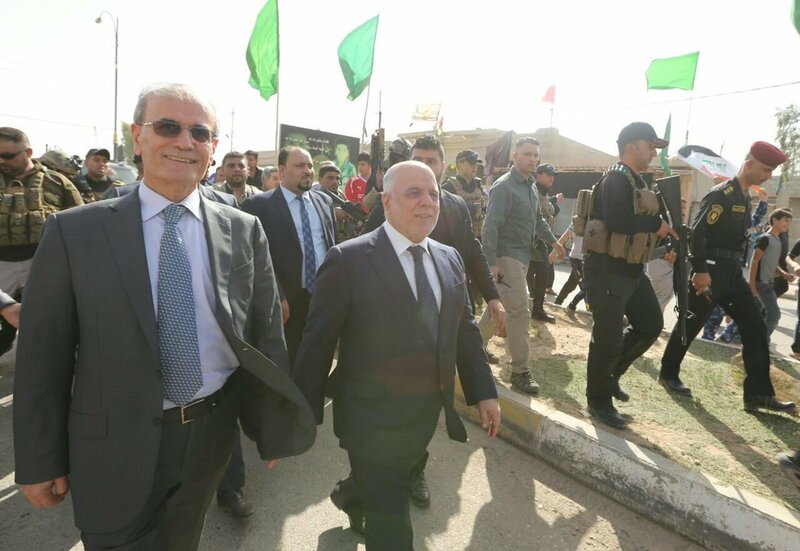 What is known and established by others right now is that Haider al-Abadi was in Kirkuk earlier today. #Iraq PM walking around in Al Basheer district southwest #Kirkuk and now back in Kirkuk govt complex. Mohammed Jabaal (BAGHDAD POST) reports that there was a shelling on a post where al-Abadi had been ten minutes prior. No one was injured in the shelling. Haider was put in check on Tuesday by Iraq's federal courts who overturned his decision (unconstitutional decision) to do away with the post of vice president. This means that Osama al-Nujaifi, Ayad Allawi and Nouri al-Maliki remain vice presidents. Nouri is the former prime minister and thug of Iraq whose actions -- persecuting the Sunni people, among his many actions -- nearly destroyed Iraq. Moqtada and Nouri have long been foes and rivals for control of the Shia population. -- Near Huwayjah, a strike destroyed an ISIL boat and a vehicle bomb. -- Near Rutbah, a strike engaged an ISIL tactical unit and destroyed three vehicles. -- Near Bashir, a strike engaged an ISIL staging area and destroyed two ISIL-held buildings, two fighting positions, two tunnels, a storage cache and an ammunition cache. -- Near Beiji, a strike destroyed two ISIL ammunition caches, two vehicles, a mortar system and a tunnel entrance. -- Near Kisik, two strikes destroyed three ISIL tunnel entrances and damaged another tunnel. -- Near Mosul, a strike engaged an ISIL tactical unit and destroyed a vehicle. -- Near Qayyarah, two strikes engaged two ISIL tactical units and destroyed three supply caches, two vehicles, two mortar systems, two rocket systems and a heavy machine gun. -- Near Sultan Abdallah, a strike destroyed five ISIL homemade explosive caches, two vehicles and an artillery system and suppressed a mortar position. I know a few people are posting this morning. Yea for THE YOUNG TURKS!